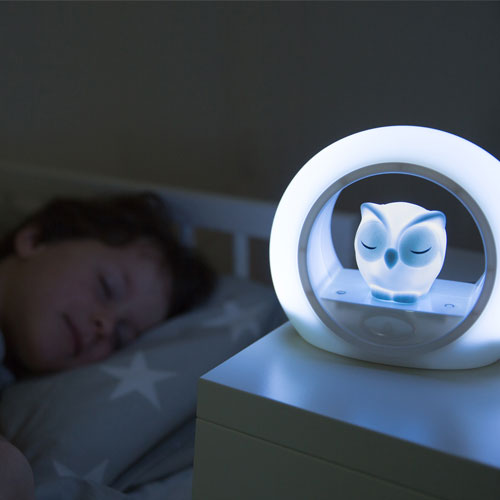 The voice activated sound sensor will switch on the warm glowing light if your child wakes up in the night. Set the timer to automatically switch off once your child has dropped off to sleep. Owl and outer ring are two seperate lights. Use together for a brighter light or seperately for a low glow. Owl and outer ring lights are adjustable: choose bright, soft or ambient light. Easy to check on your children without disturbing them. Going to bed - When going to bed you can use LOU as a roomlight, putting on PJ's or reading a book. Falling asleep - When falling asleep you lower the brightness and your child can fall asleep with soft light. During the night - During the night, LOU the owl, can stay lit as an orientation light, scaring away the dark. LOU will light up just enough to see the contours of the room and will not wake up your child. 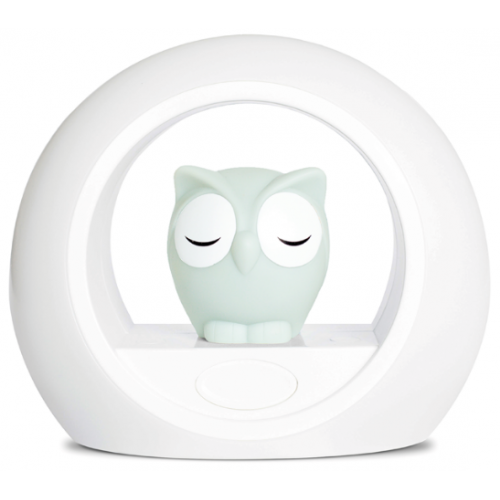 Sound activation - LOU the owl can switch on automatically when child is crying. 5 minutes after all is quiet again, it will switch off. Power supply - LOU operates on AC/DC (adaptor included) and batteries (3 x AA, not included). Age recommendation: As of 10 months.